Today's interesting news is that Facebook Co-Founder and Chief Executive Officer Mark Zuckerberg next year in 2013 will gets a base salary of just $1 from its current base salary of $600,000 dramatically cutting-off his annual pay following up other Tech industry's CEO's and Founders including Apple’s late Steve Jobs, Google’s Eric Schmidt and Larry Page, Hewlett-Packard’s Meg Whitman and Oracle’s Larry Ellison who are also getting a base salary of just $1. You would be now thinking why these Internet Entrepreneur and CEO's are cutting-off their base salaries? It’s because of by doing this their income tax burden would be zero or nil and their life will be a tax-free debts. According to CNBC report Mark Zuckerberg would also have to abandon any future cash bonuses or stock awards, as well as cease the use of Facebook services, such as aircraft and estate and financial planning for personal use. Mark Zuckerberg was paid a base salary of $500,000 in 2011 last year and is set to be paid a base salary of $600,000 in this year 2012. He has also got a cash bonus of $250,000 for the first half of 2011 last year and will likely receive a similar bonus for the second half. 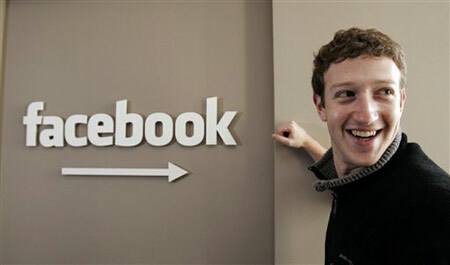 Additionally Mark was the only one amongst all the executives of Facebook who had received no stock awards for 2011. Facebook board had decided that he had enough stock to align his interests with the other shareholders, with 28.2 percent of the company. It’s possible that Mark Zuckerberg will also be able to get certain financial aid from Government for such a low-income, but i don’t think he would get it. So readers do you really think can Zuckerberg really live life without income? And he actually doesn't legally pay any taxes ever in his entire life? Tell us in comments!